As an independent producer, Marian teams with her husband Director/Writer/Cinematographer Michael Hofstein to create movies for the U.S. and European market. Their political thriller L’Engagement 1.0 is playing in French theaters, they are in post production on the French/American co-production Killing Uncle Roman, and are in development on The Assignment 2.0. 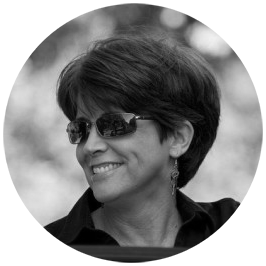 As a professional Hollywood stunt woman and stunt coordinator, Marian has performed stunts on many of the top grossing movies: Mockingjay 2, Catching Fire, Anchorman 2, Reservoir Dogs, Terminator, Basic Instinct, Pearl Harbor, Batman Returns, The Nutty Professor, and many more. After completing a PhD of Law at Paris II Pantheon-Assas law school, he was in charge of numerous clients for a product placement company – Film Media Consultant – for both feature films like Goldeneye and Ronin. Then, he was a junior partner of GSFR Paris, a law firm where he practiced entertainment law for 6 years (2000-2006) in parallel with is producer’s debut, running his feature film company, JDM productions and his position of President for a French producers’ union (AFPF). Stephane wrote the adaptation of the Hasbro’s game, Clue, a prime time show for the French National TV Network France 3 and started to helm movies by directing one episode of the TV series Clue, followed by a couple of documentaries, 4 short films, Fer 5, Gun!, Janus, Stigmatize (screened at 2009 Clermont Ferrand Film Festival and 2009 Berlin Kurtz Film Festival) and his first feature film, The 7th Lie (special screening at the 2003 Savannah International Film festival, in competition at the 2004 Sarlat Film Festival, the closing event of the 2004 Films de Quartier in Dakar and the 2005 Paris Film Festival. Stephane Guenin has just finished his second feature film Trio Solstice (direct to DVD and VOD), a short film Mission: Apo11o which travels around the world in film festivals and is currently completing the post production for his third feature film, a US production titled Killing Uncle Roman. 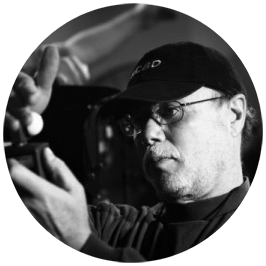 Michael Hofstein has worked as a producer, director, and cinematographer for over 35 years in Hollywood and internationally in China, Germany, Spain, Ireland, Switzerland, and France. 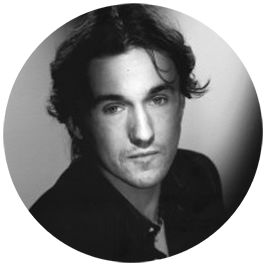 He is a member of the Directors Guild of America, The Cinematographers Guild, and is the North American President of the French Producers Guild, AFPF – Association Française des Producteurs de Films.A few of his feature film credits include: Director of Photography on The Learning Curve (2001), Ice Planet (Ger 2002), Le Septieme Mensonge (Fr 2005), L’Engagement 1.0 (Fr 2015), and Killing Uncle Roman (currently in post production). He was instrumental in photographing the Visual Efx for: Bram Stoker’s Dracula directed by Francis Coppola, Rush Hour directed by Brett Ratner, and The Mask of Zorro directed by Martin Campbell. Television credits include: They Came From Outer Space, Mork and Mindy, Laverne and Shirley, Happy Days, Nine to Five, Rhoda, and M.A.S.H. (including the most widely watched television show in history, the final 2-hour episode of M.A.S.H.). Other series include: Star Trek-Voyager, The Fall Guy, The Paper Chase, The A- Team and many other series filmed during the 1980s. David is currently Vice-President of ASIFA-Hollywood, the International Animated Society that has its roots in France. He is one of the organizers for The Annie Awards, animation’s highest honor. 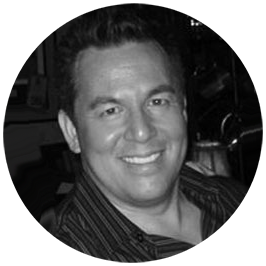 David is a digital producer at Twentieth Television, where he creates digital content for social media platforms, which includes the company’s YouTube channel and other digital outlets. He was previously at ABC Studios and was involved with shows like Desperate Housewives, LOST, Alias, Grey’s Anatomy, Commander in Chief, Scrubs, Private Practice, According to Jim and Jimmy Kimmel Live, as well as television miniseries like Muppets’ Wizard of Oz and Stephen King’s Kingdom Hospital. Cinéma résistant, a movement born in the new millennium, embraces the idea of the independent filmmaker but does not rebel against the established order; instead this loosely knit group of filmmakers intends to work towards an acceptable equanimity within today’s filmmaking hierarchy while maintaining its independence as a movement.